Now that BBQ season is in full swing and our grill’s all prepped, we’ve been thinking about ways to really up our grill game. While farm-to-table has been a huge trend lately, we thought we could do even better. Getting locally sourced veggies is great, but what if you grew them in your own backyard? It can’t get much more local than that! 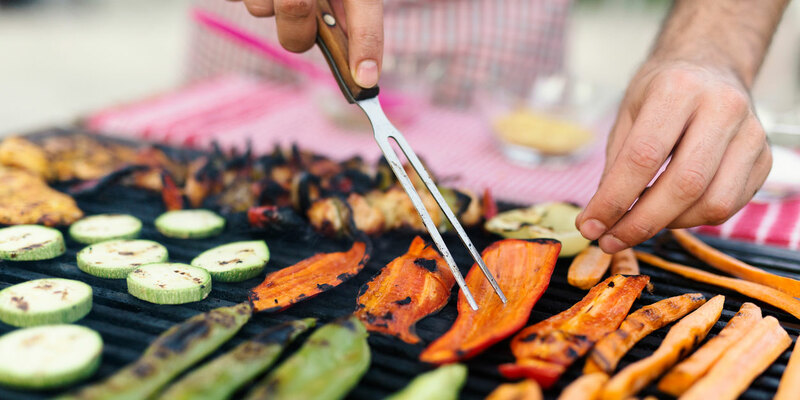 We picked out top five veggies based on their growability and grillability for the most locally sourced backyard BBQ ever, because we think garden-to-grill deserves to be the new farm-to-table! Grilled corn on the cob is almost as synonymous with summer BBQs as burgers and hotdogs. Make sure what you’re planting is sweet corn and not field corn. Sweet corn is (obviously) sweeter tasting and better for corn on the cob, while field corn is better for grinding into flour for tortillas (and you’d need a really big garden to grow enough corn to make your own tortillas). Corn should be planted about two weeks after the last frost date in your area, so most Canadian gardeners should still have just enough time to get some garden corn started if we hustle! Corn is a bit of a picky plant. It not only needs moist, rich soil and at least six hours of sunlight a day (so choose your corn real estate carefully! ), it also needs a lot of space. Planting corn won’t give you the big yield you’ll get with some other veggies, but you will get ultimate bragging rights! Green beans are a perfect garden project even for those without green thumbs. They’re relatively easy to grow, can be planted any time after the last frost, and are ready for harvest in less than 2 months! Plant your beans in full sun to get the highest yield. Just be sure to keep them well-watered so they’ll keep flowering and producing. If you sow new beans every two weeks, your harvest will last all summer long! Another great starter veggie for novice gardeners. Tomato plants are more forgiving than other veggies if you forget to water them, and some varieties can be grown in hanging baskets or patio planters, which is great if you’re short on backyard space. Protip: Try growing some basil right next to your tomato plants. It’ll act as a natural pest repellent and you’ll be halfway to a homegrown caprese salad! A summer BBQ needs some summer squash (aka zucchini)! You can get a lot of squash out of each plant, so you’ll probably only need to plant a few to feed your whole family! Zucchini like full sun and moist (but well-drained) soil that has a nice big dose of compost added to it. Be sure to water plants from below to keep bugs and diseases at bay. Okay, these are technically not veggies, they’re fungi. They’re also delicious on the BBQ, so we had to include them. Unlike the rest of this garden-to-grill crew, mushrooms like things cool and dark, so you may want to try growing them indoors, where you can better control the temperature. Don’t shuck just yet! Submerge ears of corn, still in their husks, in cold water for at least 15 minutes, then place directly on the grill for 25 minutes, turning occasionally. Once they’re done, remove the husks and silk and brush with some melted butter. You can also take those kernels off the cob to make a killer corn salsa that would be great on any grillable. Trim the ends off the beans and wrap them up in a double layer of heavy-duty foil (for extra flavour, add a little chopped garlic and ground black pepper). Grill the packets for 8-10 minutes per side, then serve! Cut the tomatoes in half, brush the cut sides with a little oil and grill, cut side down, for 4-7 minutes. If you’re feeling fancy, sprinkle some cilantro and chopped green onion on them afterward! But don’t grill all the tomatoes. Save some to slice up on our Grilled Buffalo Chicken Sandwiches! Whether it’s green or yellow, just cut it into ½” pieces, lengthwise, and grill for 5 minutes per side; it couldn’t be easier! Remove the stems, brush with oil and grill for 5-7 minutes per side. 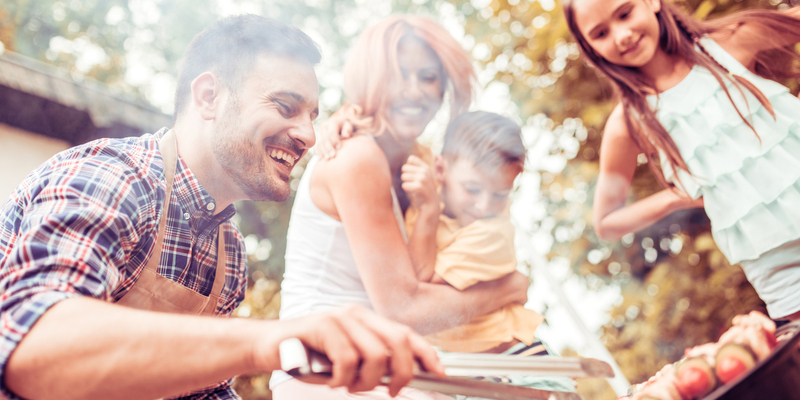 Now that you’re ready to take things from the garden to the grill, see if you can up your BBQ game even further by heading over to our Instagram and entering our summer contest for a chance to win a state-of-the-art Broil King grill! Good luck!